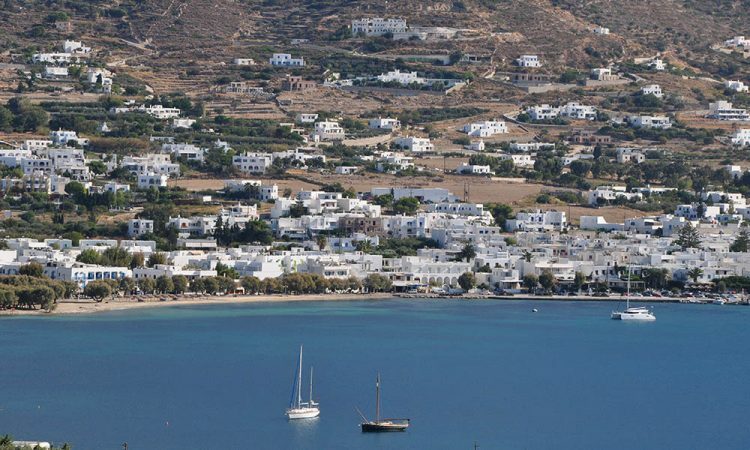 You can have a 15 minutes walk to Krios, or take the boat-shuttle from the port. 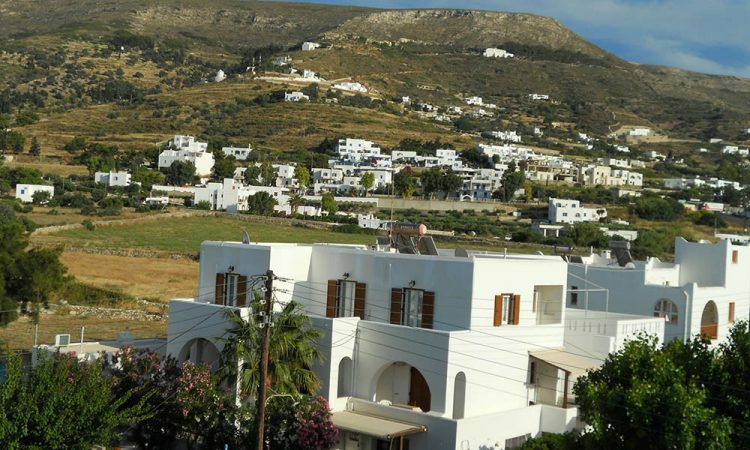 In one of the most famous and beautiful islands, Paros, we’ve built a brand new unit in the centre of Parikia, only 200m from the sea. Staying with us means having the best service and hospitality. See all our Studios & Apartments. We are looking forward to welcome you to our beautiful island of Paros. We will be very happy to explain to you everything you need to know while staying on our island. Free transportation from port and airport. 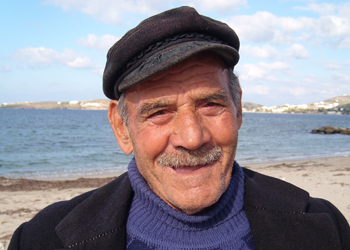 Hi, I'm Giorgos from Paros and I always enjoy helping people to have a great time on their holidays! 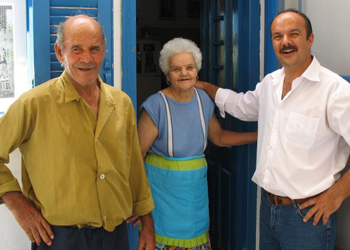 I was born in Paros and I have been always living on the island, and we live in the same building with you. 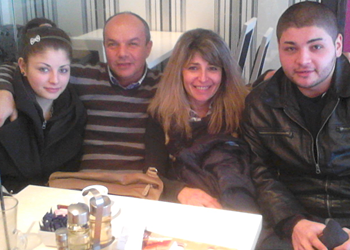 I love travelling and I like Greek food. Staying with us means having the best service and hospitality. We are looking forward to welcome you to our beautiful island of Paros. We will be very happy to explain to you everything you need to know during your stay on our island. We promise you a fantastic holiday trip with us. Please trust us, and come every year to us and send us all your friends. 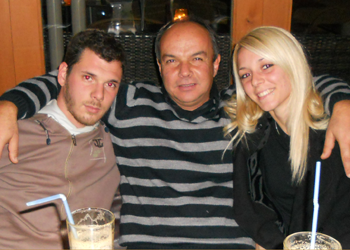 We are a fantastic family, always very welcoming, friendly and smiling, and very much hospitable with our customers. We like good food, travel trip all over the world, and get to know other people, We like friendly parties. Your hosts George, Marianna and the children. Staying with us means having the best service and hospitality. We are looking forward welcoming you to our beautiful island of Paros. We will be very happy to explain to you everything you need to know to make the best out of your stay on our island. We provide free transportation from the port and the airport. 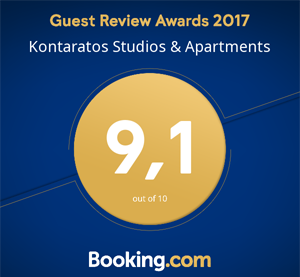 For affordable beach holidays in Greece, our Studios, Apartments and Rooms offer a very comfortable Paros island accommodation to holidaymakers wishing to enjoy a relaxing home-away-from-home atmosphere while on vacation. We have 13 studios, rooms or apartments, each with its own capacity and personality. 2 of them are shown indicatively bellow. Browse our website to discover them all and decide which is the most suitable to you. Or go directly to the Studios & Apartments page. 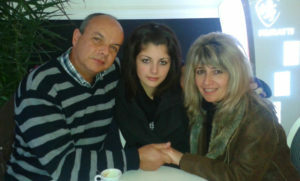 We expected to have a lovely time in Paros, and we did, but we had an even lovelier time staying with George and Irene. The hospitality was beyond good and nicer people are hard to find. Reasonable prices, great location and very clean, tidy and fresh apartments. This is definitely a place to go to again!